The IATA AHM has been developed to assist the industry in the provision of safe, effective and quality services at a lower cost. 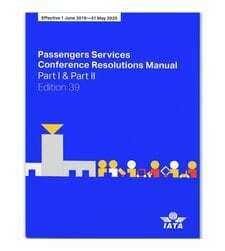 Airport Operations topics cover: Passenger Handling, Baggage Handling, Cargo and Mail Handling, Aircraft Handling and Loading, Load Control, Airside Management and Safety, Aircraft Movement Control, Ground Handling Agreements, Airport Handling Ground Support Equipment Specifications, Environmental Specifications for Ground Handling Operations The AHM is a field-reference publication that contains recommended industry standards and procedures covering airside safety, load control, baggage, cargo and mail handling, aircraft movement control, aircraft loading, departure control systems, functional requirements for ground support equipment, an extensive listing of aircraft doors and ground servicing points by aircraft type, as well as the latest IATA Standard Ground Handling Agreement (SGHA) amendments. The AHM is published annually in English only. 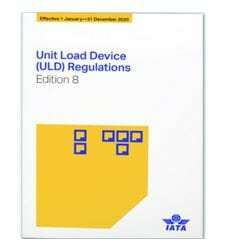 No longer available on CD-ROM, IATA discontinued all CD versions. In this edition the IGOM is not included, the 7th edition is available separately.